Every Healthy Choice Counts is revolutionary program that helps participants manage their weight and have greater control over their diabetes. Choose Our Program Every Healthy Choice Counts Program 22 Module Program provided over the course of a year. Every Healthy Choice Counts features a 22-module program provided over the course of a year. At the end of each module, participants participate in a group coaching session at a time that is convenient. Participants enjoy access to previous modules and can even revisit accompanying coaching sessions for the duration of the program. The Centers for Disease Control and Prevention (CDC) highlights the benefits of these longer support-based programs. Every Healthy Choice Counts is a supportive program, one which guides individuals to achieve their goals of healthy weight loss, weight management, prevention of type 2 diabetes, better management of type 1 and type 2 diabetes and optimal overall health. While weight gain and diabetes are common, each person experiences weight gain and diabetes in his or her own unique way. 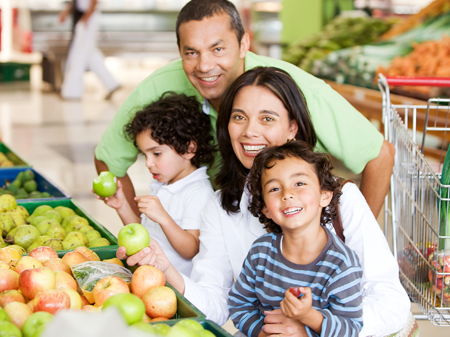 Every Healthy Choice Counts recognizes the similarities and differences, and provides science-based information and support to help each individual achieve and maintain a healthy weight, and manage diabetes by making one good choice at a time.